Does your hair feel rough and dry?? Does your hair feel rough and dry, even when it’s wet? Is it hard to comb? Is it dull and lifeless? Does your professional color fade quickly or become brassy? Hard water is so hard on hair… San Diego has some of the hardest water in the nation and if you swim your dealing with even more deterioration. Check out some of the benefits these treatments provide…. ~Softens the effects of hard water that help hair go from dull to brilliant. 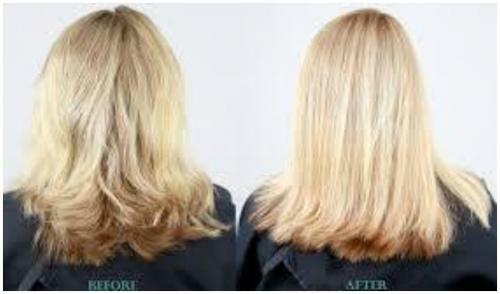 ~Detoxes your hair by removing the minerals that have deposited themselves on each strand. ~Draws out even hard-to-budge hard water mineral deposits. ~Prevents future deposits of malicious minerals while removing discoloration and brassiness caused by iron or copper. ~Infuses moisture, shine and manageability. Purified hair means natural hair, so you will get better results with any chemical service including color, highlights, perms, and keratin treatments. As a result of regular treatments your color will stay more vibrant, hair will be more manageable and full, silky, easy to comb, have dazzling shine!!!! Come by Pistachio Cut and Color Bar today for special professional treatments to help get rid of hard water effects and make your hair happy!!!!!! !